Need a way to put those delicious strawberries to good use? 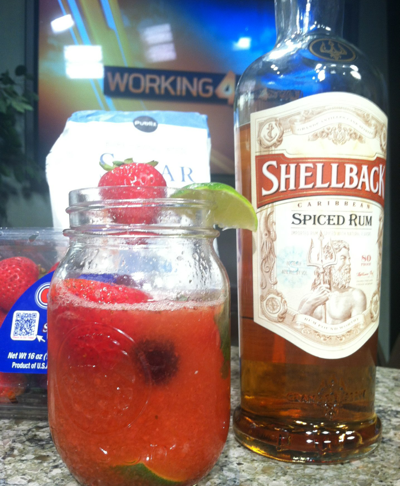 Make strawberry mojitos! Just when I thought you couldn't perfect a mojito, I blended strawberries to add to it, and as I always say, "Fruit won't dilute" so add frozen fruit in place of the ice! Blend strawberries in blender. In two glasses, place the quartered limes, mint and sugar in the bottom of each glass and muddle. (Use either a muddler or the bottom of a wooden spoon). Place frozen fruit in each glass (as ice) on top of the muddled mixture. Add strawberry puree, rum and club soda. Stir well to combine then enjoy!